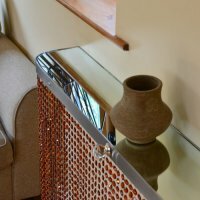 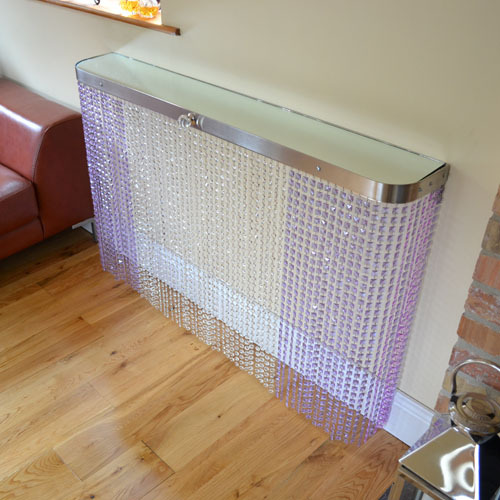 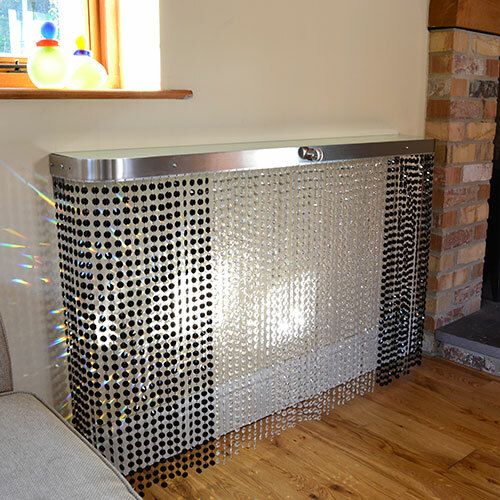 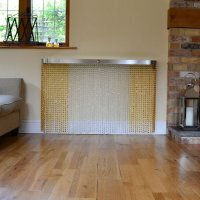 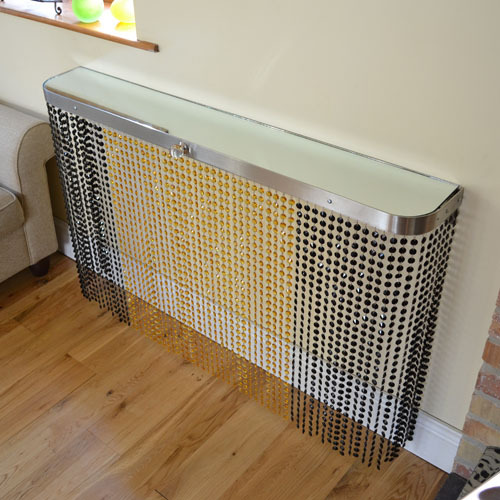 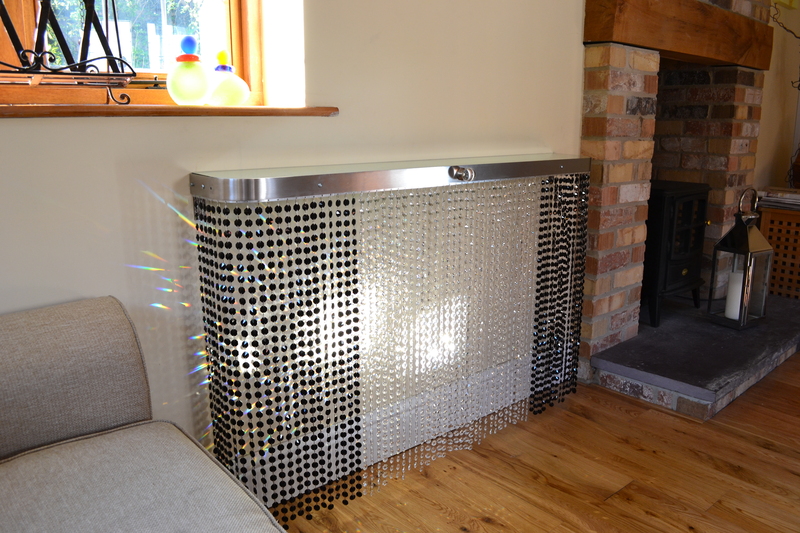 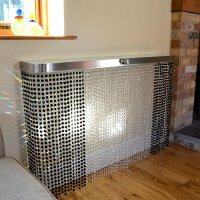 The Crystal Bespoke range of console tables and radiator covers are simply stunning are are totally designed around you, and your individual needs. 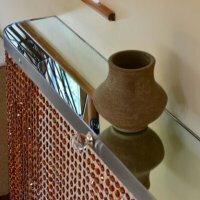 Contact us with your wildest ideas and we will do our very best to create wonderful solutions that only you will have. We have challenged convention and designed a range of covers that not only provide wonderful heat transfer into any room, but simply transform your living spaces into chic, highly fashionable environments and spaces. Alternatively, just use as a console table to shock and inspire, and create styles to suit your decor exactly. 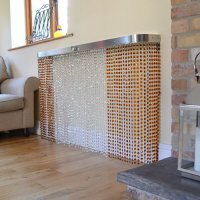 British made, the Crystal Colour radiator covers and console tables are constructed in a range of highest quality finishes and materials. 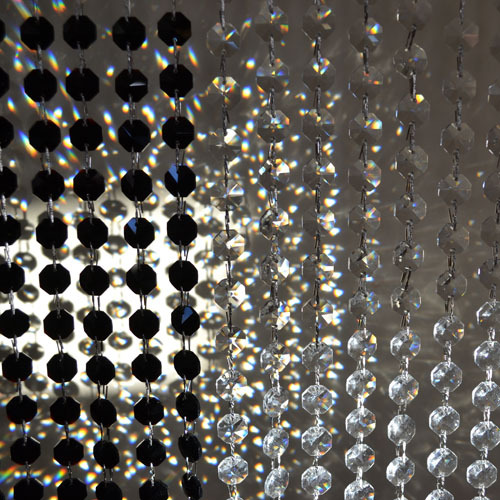 The 24% leaded glass crystal beads create the most wonderful shimmering and glistening effects (these are infinitely superior in quality to the plastic ones currently on the High Street). 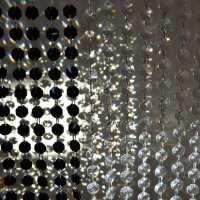 When illuminated they are out of this world. 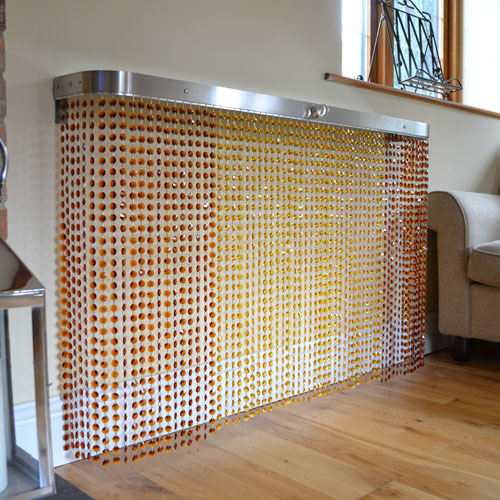 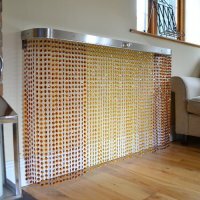 Available in six different bead colours of amber, lipstick red, pale purple, deep blue, lolly yellow and powder black, choose the bead colour to match your room, your furniture, your furnishings or simply as a statement to contrast and shock. We can order many more colours should demand dictate. Once the colour is selected, choose the design of the crystal bead available in 2 different styles of octagonal and square; choose whether you require bead ends to contrast which are available in a further five different styles; choose whether you want one single colour or two colours for you to create a style that suits you; and finally choose whether you want lights or not...the range is simply designed around you. 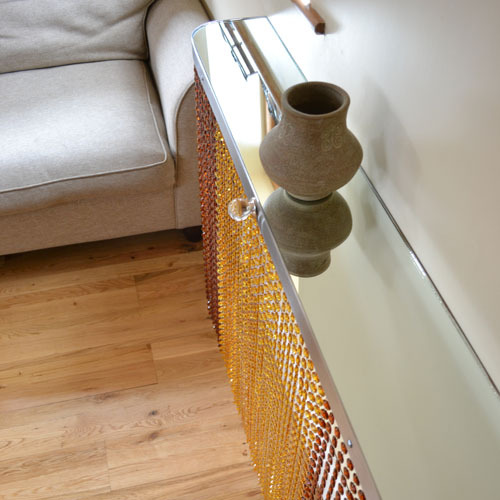 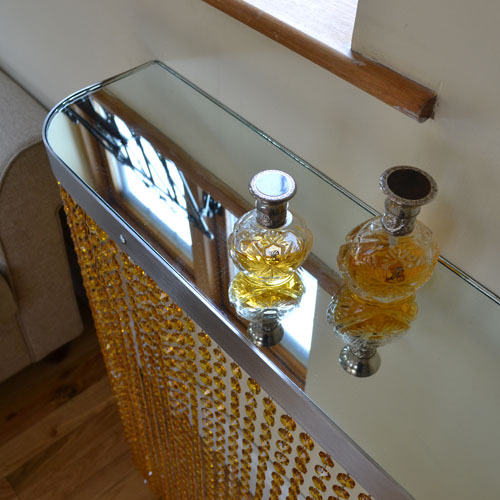 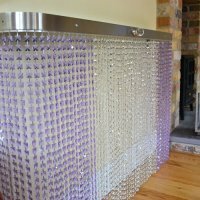 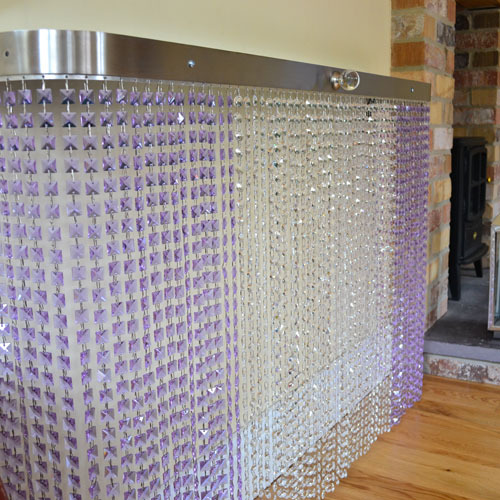 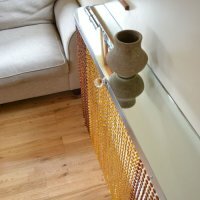 As with all products within the Crystal console tables and radiator covers ranges there is no maximum height, so you can drape the wonderful shimmering glass crystal beads from floor to ceiling if desired. For the tops, choose between toughened satin safety glass that allows the multicolour LED lights to illuminate the top as well as the crystal glass curtains; colour matched glass to match your decor; or mirror glass for the real high fashion followers. 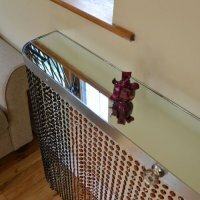 For other options why not contact us to discuss alternative solutions such as high gloss resins, carbon fibre, exotic hardwoods, and a huge range of metal and laminate finishes.